VH Victoria Resort Hotel is a 4-star property located in Puerto Plata area nestled amidst lush gardens and within a short walk to the beach. This luxury resort, refurbished in 2005, is perhaps the most exclusive and luxurious hotel in the entire North Coast of the Dominican Republic. With rooms furnished with elegant and contemporary décor, babysitting/child services, a currency exchange and a 24-hour reception available, guests can find a comfortable home away from home during their Dominican Vacation. There is plenty to relax in, whether at the cosy private beach or outdoor pool or the sun terrace. Or you can sweat it out at the state of the art fitness centre. Newlyweds can feel pampered in the romantic honeymoon suites with a twin shower and Jacuzzi on the balcony. Puerto Plata is a sunny laidback resort on the North Coast of the Dominican Republic. The region is known for its fine beaches and all-inclusive seafront resorts. The accent of the place is a 16th-century Fortaleza San Felipe, a Spanish fortress which has now turned into a museum of historical and military artefacts. 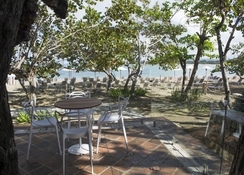 If you are looking for sea, sand and natural scenery, look no further than Puerto Plata. 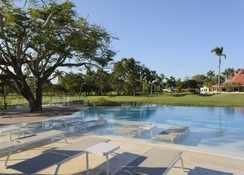 VH Victoria Resort Hotel is nestled amidst 250 acres of golden sand and tropical gardens next to the Golden Beach on the North Coast of the Dominican Republic. 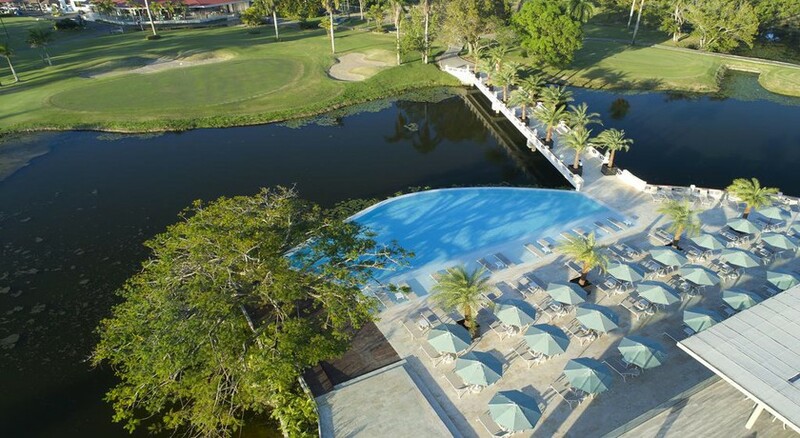 The property has lovely views of the grand mountain “Isabel de Torres,” and offers easy access to the Playa Dorada Golf Course, a designer 18-hole golf course. The resort can be reached via just a 15 minutes’ drive from the La Union Airport. VH Victoria Resort Hotel features 190 well-appointed and furnished guestrooms some of which offer excellent views of the sea, the garden and the “Isabel de Torres.” All the air conditioned guestrooms come with amenities like mahogany entrance door, single or twin beds, ceiling fan, satellite TV, minibar, direct dial telephone and safe deposit box. Additionally, the Jr. Suites may have walk-in closets, iron boards and coffee makers. 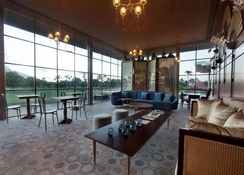 The rooms come in categories like Standard, Superior, Junior Suites, Suites and Honeymoon Suites. VH Victoria Resort Hotel offers guests a choice of "all-inclusive" and "bed & breakfast" meal plans. There are a couple of restaurants that serve a la carte cuisine ranging from traditional Mexican dishes to gourmet pizzas and international dishes. 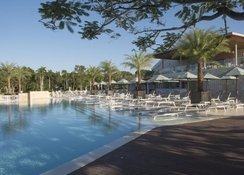 There are a number of bars where guests can relax with alcoholic and non-alcoholic drinks from the pool bar, beach club bar, Lotus Club bar and La Cascada bar.